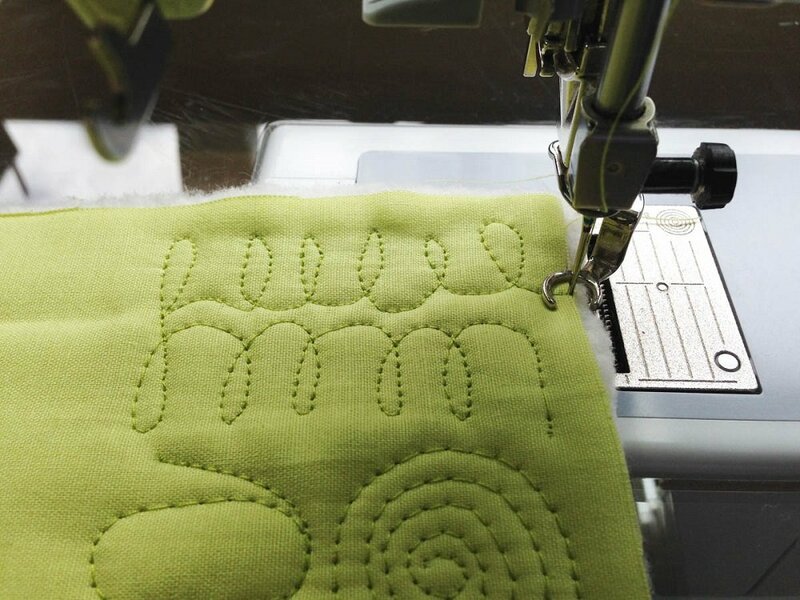 This hands-on class will provide the basics for machine quilting using your home sewing machine. We will have a brief discussion on threads, needles, batting and quilting feet. Then you will learn to use a walking foot for straight line quilting and decorative quilting. After that, we will move on to free motion continuous line designs, feathers and stippling. You will also learn how to handle large quilts on your domestic sewing machine. Leave class with the confidence and skill to begin practicing quilting your own quilts on your home sewing machine! Click here for the material list. Please bring your sewing machine and manual and ensure that your machine is in good working condition, and that you are able to thread it, wind a bobbin, adjust your tension and lower your feed dogs. You will also need a walking-foot and darning foot for your sewing machine, extra sewing machine needles, one or two 18 inch square quilt sandwiches to play with and basic sewing supplies (i.e. thread, thread snips, marking pencils/chalk...).